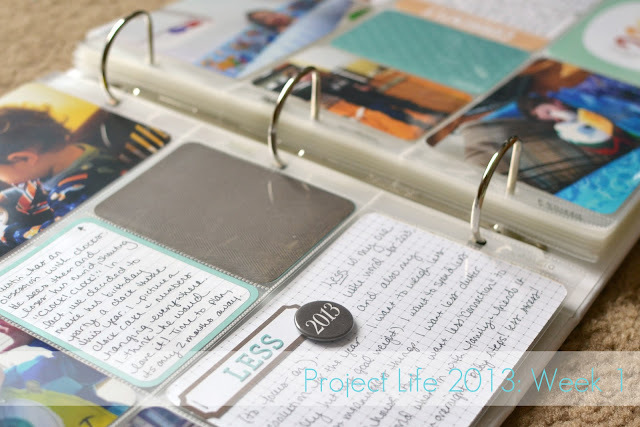 Welcome to Project Life 2013. Today I'd like to share with you my first layout of the year. 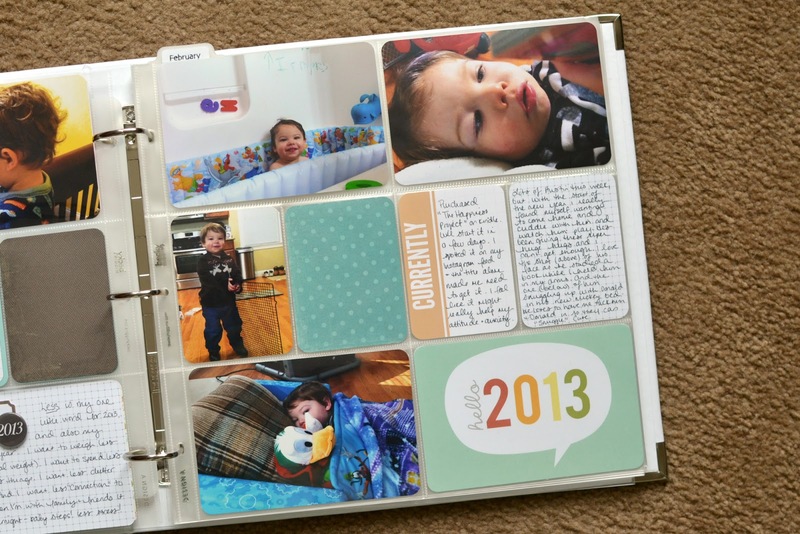 In case you have not seen my 2013 album cover page, click here to check out my post. I waited to put this week together until I had my January Studio Calico kit in my hands. The January kit included a beautiful 2013 4x6 card that I knew I wanted to include. Here is the full layout this week. As you can see, I used elements from the paper pack by My Mind's Eye that is the base of my kit, cards from the Seafoam Edition of Project Life (purchased digitally & printed on my Epson Workforce 630), and a few cards and embellishments from the Studio Calico kit. This week was all about the start of the new year. On this first page I had a few photos of Austin from New Year's Day. He's obsessed with clocks right now (and we're going to have a clock themed 2nd birthday party), so I made him a clock by printing an image, sticking it to some chipboard and laminating it. 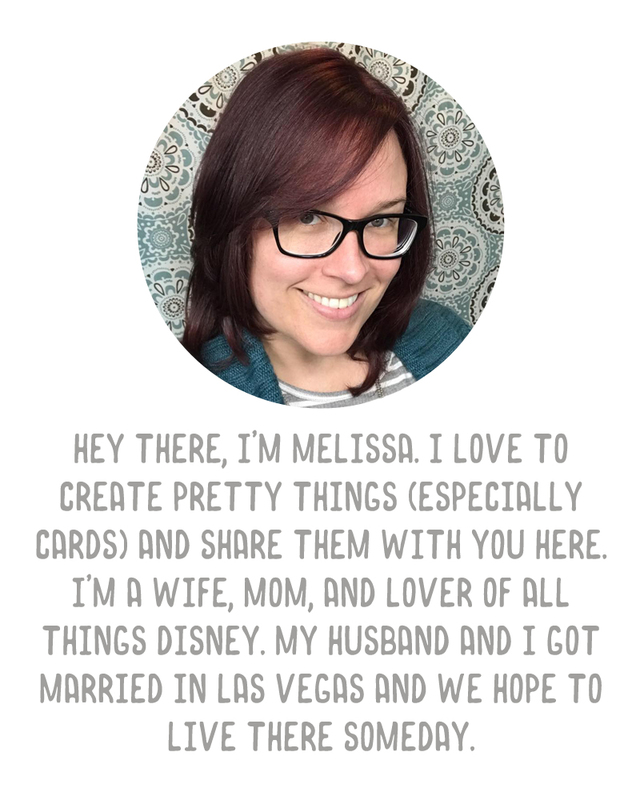 This page uses my own title card creation and freebie calendar printables, along with a 4x6 vertical title card from Seafoam (chopped down to 3x4), and one of my freebie journaling cards. I also included a card about my One Little Word for 2013. The base card is from Studio Calico (the back of a design I knew I wouldn't use). The label is also from SC, and attached with my Tiny Attacher. Used some adhesive to stick one of the buttons from the SC kit on the card as a final touch. There's that gorgeous Hello 2013 card from Studio Calico in the bottom right. Some notes about how this layout is all about Austin (because that's how I've been spending my evenings and weekends as much as possible), and a card from Seafoam discussing my purchase of The Happiness Project on Kindle. The filler card was cut from the My Mind's Eye paper stack. I love how simple this layout was to put together, thanks to having everything I want to use in my albums all in one place, but how it also has a touch of creativity. 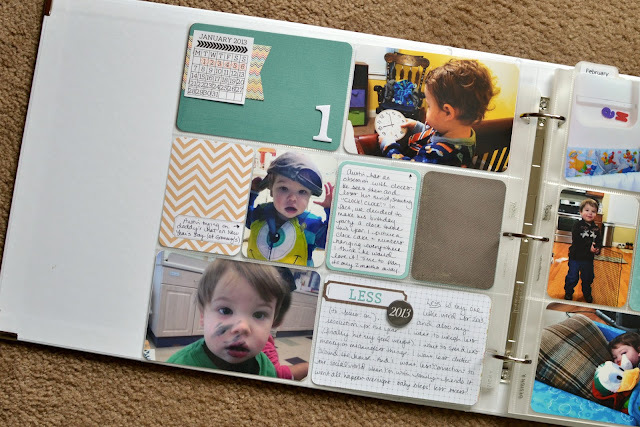 More than just journaling cards and photos, but nothing over the top embellished either. I also wanted to note here how much I love the Studio Calico kit. The cards are a thickness I've never felt before - almost double the thickness that come in the core kits, and the print is such high quality. They included a clear stamp set, a full roll of a gorgeous washi tape, a sheet of beautiful alpha stickers (much better than those that you get at Michaels), another set of stickers, a transparency, many journaling, filler, and title cards (all of which have a beautiful grid pattern on the back so you can use every single card), labels and other embellishments. Absolutely thrilled. If you want to add something to your albums, this kit is worth it. If you just want simple, then this kit is not for you. I am having fun with it and I know I can use the stamps on cards, too. That's it for this week! 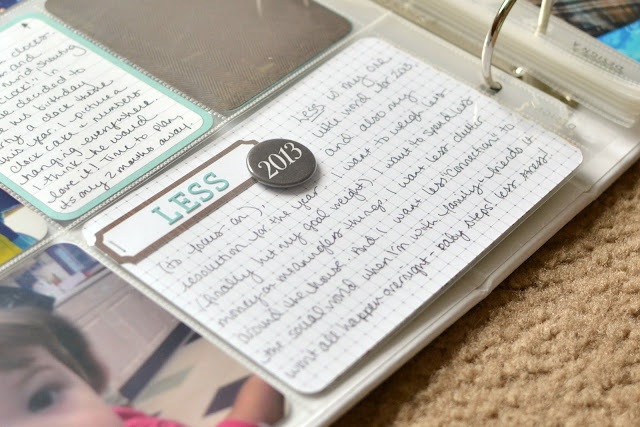 I hope everyone who is starting Project Life this year for the first time is enjoying it, and those of you continuing like me, I hope you're finding the start of the new year as refreshing as I am. 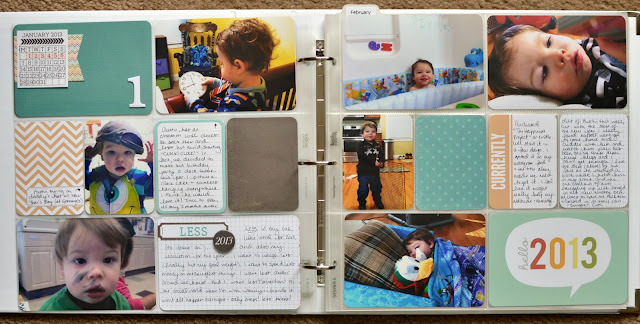 I love this spread! The colors are so... calming and sweet. And of course those pictures.. the one of him snuggling Donald is so cute it hurts me! Yeah for PL! Do you use any old pen for journaling or a specific brand? I am doing more hand writing on my journal cards this year but can't find a pen I love. Thanks! I love Sharpie pens, actually. Here are a few links. I bought a 12 pack but right now they're only available on Amazon with outrageous shipping, so here's the 4 pack of black and a 6 pack. Love the soft colors of this spread. Thanks for sharing ! This year I'm not doing a OLW album. I enrolled last year but never finished the prompts beyond April, I think it was. Bummer, too, the class is great. Glad I still have access to the 2012 syllabus so if I do decide to make one I can refer to it. Are you printing the digital kit or doing Project Life in digital form? Then book yourself a couple of hours to sort and print your photos one night, and a second night to get the album together. (Assuming you are only behind a few weeks - will need longer if you're really, really behind).